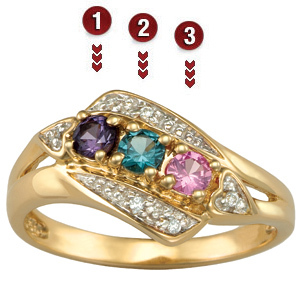 The 14kt yellow gold Enchanting mother's ring is set with three genuine 3mm round birthstones of your choice. Cubic zirconia or genuine diamond accents decorate the ring. Import.